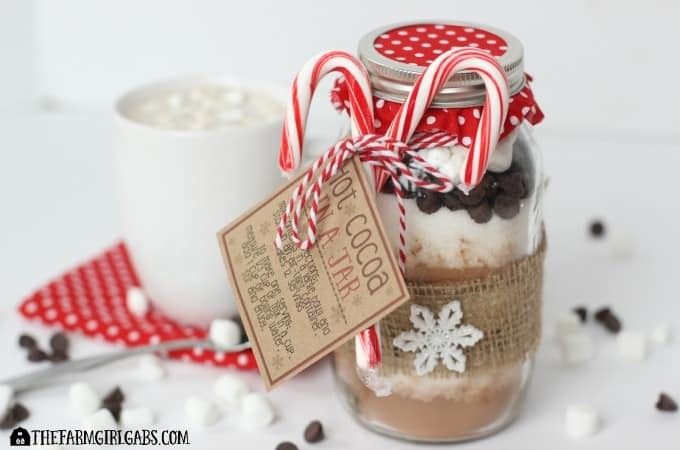 Hot Cocoa In A Jar is a perfect warm-up gift to make this holiday season. 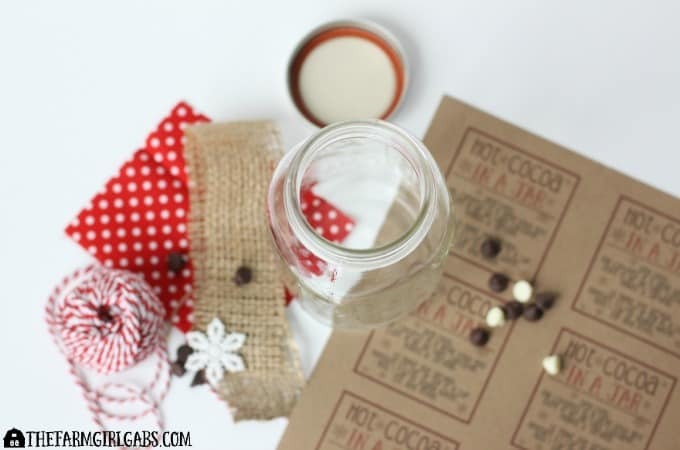 This mason jar gift is easy to create and delicious to drink. Nothing warms you up during the winter months like a nice hot cup of cocoa. Extra chocolatey, full of marshmallows and just the right temperature, a cup of hot cocoa is the perfect way to warm you – heart and soul. It’s no secret that I love using mason jars for gifts and serving everything from desserts to drinks. They come in many sizes and are so versatile to use. Since the holiday gifting season is in full swing, I love giving “gifts in a jar” to everyone on my shopping list. 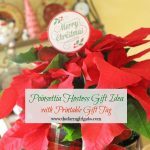 My Cookies In A Jar were such a hit last Christmas that I just had to create something fun, useful and delicious to give once again this year. Hot Cocoa In A Jar is the ticket! It’s the perfect gift that your friends and family can enjoy all winter long. To make this Hot Cocoa In A Jar, you will need a few supplies. Now, don’t worry about being “craft-challenged for this project. It really is simple. Begin by wrapping a piece of burlap around the jar and securing in place with glue or glue dots. 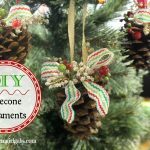 Use a dab of glue or a glue dot to adhere the snowflake to the front of the jar. Now you can start layering your Hot Cocoa In A Jar Ingredients. I used this handy canning funnel to keep the mess at a minimum – and all the ingredients in the jar and not on my counter. I finished this off by printing out this cut little instruction tag that I made. You can grab the free printable here or by clicking on the graphic below. I love to enjoy my hot cocoa with a peppermint candy cane. I used the colored string to tie the instruction tag and the candy canes to the jar. One quart jar will make 12 servings. Your gift recipient can easily store in a food storage container and use as needed. When ready to enjoy a cup, simple measure out 1/3 cup of the mix and pour hot water over. My daughter LOVES hot cocoa, so I always make sure I have some of this homemade mix in my pantry. What are some of the food gift ideas that you like to give (or receive) during the holiday season? I would love to hear all about them. I am always looking for new gift-giving ideas. Using a clean quart jar, layer the ingredients starting with the unsweetened cocoa. When ready to serve, store in an air-tight container. Add 1/3 cup of mix to one cup of hot water. Attach an instruction tag to each jar. I love making gifts like this to give during the holiday season. I like to accompany it with a small book or movie. Something that gives them like an experience.